VIDEO: Jennifer Granholm's High-Energy Address To The DNC : The Two-Way President Obama and Vice President Biden are naturally getting the big headlines. But it's former Michigan Gov. Jennifer Granholm who is getting a lot of the buzz this morning. Watch her very spirited appearance. Former Michigan Gov. 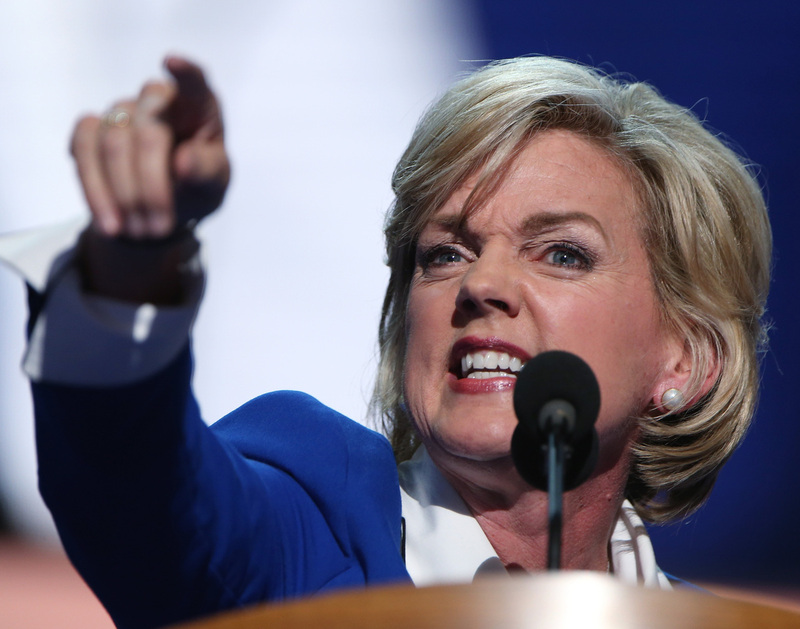 Jennifer Granholm making one of her points Thursday at the Democratic National Convention. President Obama and Vice President Biden are naturally getting the big headlines. But it's former Michigan Gov. Jennifer Granholm who is getting a lot of the buzz this morning for her high-energy address Thursday night at the 2012 Democratic National Convention. Thanks to the video archive that C-SPAN helpfully makes available, we've created a clip of her 6 minute, 30-second appearance. For much more about both the Republican and Democratic conventions, check It's All Politics.